L'Eau d'Hiver is a popular perfume by Editions de Parfums Frédéric Malle for women and men and was released in 2003. The scent is powdery-floral. It is being marketed by Estēe Lauder Companies. Jean Claude Ellena reported that analysis and conceptual redesign of Après L'ondée" inspired him to compose "L'Eau d'Hiver". He adopted the interplay of anisic aldehyde, almond- an vanille-like smelling heliotropine and orris which he transferred to present age by adding transparency and airiness. This is the cleanest scent ever produced! It never goes into sharp, synthetic or "cleaning products” as is often the case with “clean” scents, this is clean as in purity. It’s like walking into a spotless room in a Mediterranean villa, high ceiling, light wooden floors, white walls and white linen curtains gently moving from a silent warm wind coming from the open windows. The only pice of furniture is a bed, made with newly washed linen. Harmony, silence, relaxation. It is a heliotrope accompanied by an iris without the earthy tones and musk without the animalistic notes, and the coldness of these notes balanced with honey. No notes are allowed to break the almost transparent purity. I find it quite linear, the first hours are followed by a slight increase in the musk note, but not by much. This is what happens when Ellena takes a step back from the spice rack - a masterpiece! This is not at all like the overpeppered Voyage d’Hermes or Terre d'Hermes. I’d say this is predominantly a woman’s scent, so I will give it to my wife so that I can steal it. Because have it I must! He lays himself gently on the skin. Like a cloud, he's following you. Almost invisible and yet present. At first a sweet swath of pleasant lightness it becomes later ... only lighter. My entry into the Malle world. At first completely unknown to me, I just test the sample. Wow, nothing stands out. But it fits like this. An elaborate artificial understatement. Like a warm honey milk in winter. Or the protective window pane in icy winds. In perfume, the theme of water and ‘watery’ perfumes has always interested me. Firstly, one must grasp the concept of water and its thematic odour profile. Water fragrances are fresh on the skin, and equally refreshing on the nose. These fragrances, typified by the likes of Polo Blue by Ralph Lauren and Escape from Calvin Klein are soft fragrances, pillowed with deep aromatic hums and lifted with contrapuntal additions of spice and zing. These capture the idea of a cascading waterfall, dense air during a thunderstorm, or even the salty and vegetal facets of the sea. The smell of something ‘salty’ intrigues me. Salt doesn’t have a smell but I nevertheless effortlessly state, for example, that Épice Marine by Hermès is a salty fragrance. It is the smell of the ocean, containing oceanic connotations of seaweed, spice, driftwood, and the like. The same runs true for L’Eau D’Hiver. A contradiction between hot meets cold; where density equalises sparsity. L’Eau D’Hiver is a viscose cologne, syncopated firmly against tranquility. It begins unlike the typical cologne, calling to mind a fresh cleanliness that is simple and inexcessive. I am reminded of the understated nature of clean white bedsheets: simple, yet elegant. White because of its purity, and willowy bedsheets because of its calm comfort. This fragrance is airy and thin, attuned with a concentrated accuracy that is in turn warmed (but not heated) on the skin, with slippery honey, heliotrope and iris. L’Eau D’Hiver is actually classified as a Woody Oriental under Michael Edwards’ Fragrances of the World, and whilst that alone doesn’t surprise me, the fact that it is in the same category as Chanel’s Égoïste does. Considering this, I explored the concept, sniffing harder trying to uncover L’Eau D’Hiver’s complexities. As a rush of anise opens, I am reminded of Guerlain’s Apres L’Ondee due to the pale almond note and the heliotrope. In comparison, this is a contemporary Apres L’Ondee, hosting a languid richness from the musk and honey notes, emphasising a delicious marmalade accord found exclusively in the coveted parfum version of Apres L’Ondee. The honey illuminates the composition, joining together its gossamer transitions and yet also adding space in-between the frigid florals. As the opening radiates a viscous marmalade accord and a piercing anise top note, a hovering citrus note of bergamot is redolent of much of Ellena’s other works, giving his trademark steadiness through freshness. Here, the name L’Eau D’Hiver (Winter Water) is realised. Comfort can be achieved without having to emphasise oriental keynotes, which can often feature an intrusive thickness. Before the fragrance can evolve into a cloying state, peppy angelica cuts the marmalade inflection with a detectable assertiveness. It has properties like snow, romantically thin but still posing a danger in the right contexts. On multiple wearings with much consideration, L’Eau D’Hiver showcases Ellena’s perfumery style with a cheeky ease. Chandler Burr simplified his mantra marvellously during a presentation, and stated that with an Ellena perfume, people shouldn’t go: “Your perfume smells amazing…” but rather, “…you smell amazing”. This is a dense cologne, but a spare oriental; deceptively delicate yet thick like warm milk embraced with honey, marmalade and awakened with a fresh sappy jasmine. The balance here is pivotal, and contains many elements of a typical cologne style. I enjoy this for its second skin appeal – a ‘your skin but better’ scent. This is earthly and natural at times but then entirely abstract. Clean and somewhat soapy; obscure minimalism. L'eau d'Hiver opens with a mild citric bergamot that lasts longer than I would have expected. It then does a near disappearing act after about 15-20 minutes that had me wondering if that was it... Sure enough though, it reappears a few minutes later and the very powdery iris and heliotrope combo take over in full force. When I say "full force," I guess this is in relative terms, as the scent never is loud or attention grabbing in *that* way... It just acts as a powdery skin scent that is light, subtle, minimalist and well composed. The base is primarily white musk, mixed with the remnants of the iris and heliotrope that remain through the end. 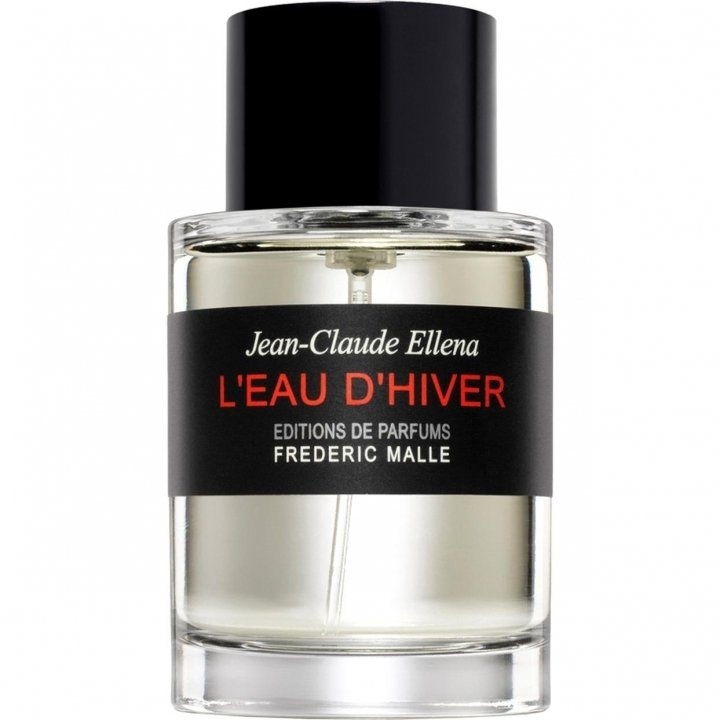 My biggest gripe with L'eau d'Hiver really has nothing to do with the composition by Jean-Claude Ellena... I just dislike iris as a note and dislike most powdery scents in general. As such, L'eau d'Hiver is definitely not for me, and I don't really care for it much after the opening (which I did like), but still to powdery scent fans this is definitely worth a look, and setting my anti-powder bias aside, I will give it a tepid thumbs up. 3 stars out of 5. This delicate yet powerful scent is not the type of thing I usually like. I'm not particularly an iris fan and only rarely like something powdery. But this has a complex beauty that has totally won me over. A great review by Tom at "Perfume-Smellin' Things" referred to LDH as being like "...sitting in a freshly painted white room looking out a picture window at a field of snow, perhaps with a television set in the background that's set to a station that's only static while wearing a white suit." To my nose, that's true, but it's not as sterile as it sounds. My white room has a calmness and a light sweetness to it that makes it a wonderful place to live. Some day, I'm going to need a full bottle of this one. Frédéric Malle L'EAU D'HIVER is my third angelica and second J.C. Ellena perfume from this house, and it is my favorite in both categories! The angelica here is fragile and light and sweetened by equally delicate purple flowers, heliotrope and iris. This composition is right up my alley: powdery, floral, slightly sweet with a dash of green, and the overall extremely well-blended final effect seems 100% natural to my nose. L'EAU D'HIVER seems more feminine than masculine to me, and I have to say that I find it somewhat closer to Prada INFUSION D'IRIS than to Guerlain APRES L'ONDEE, given the relative strengths of the iris note. Whatever its ultimate source of inspiration may have been, this perfume is a beauty!